The NACo challenge aims to help communities reliant on coal diversify their economies. Communities once reliant on coal are experiencing economic hardships due to the shrinking industry. 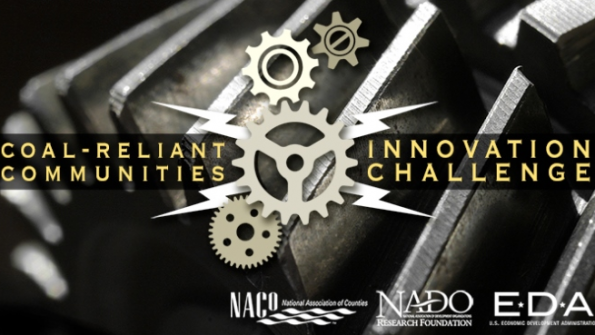 To combat the problem and create workable solutions, the National Association of Counties (NACo) and its partners will host a series of three workshops titled the Coal-Reliant Communities Innovation Challenge. NACo, in collaboration with the National Association of Development Organizations (NADO), and with the support of the U.S. Economic Development Administration, is asking communities to submit applications to attend the hands-on workshops, which will be guided by expert facilitators and practitioners. According to project materials, the workshops are designed to help county and regional leadership find solutions for economic problems stemming from a reliance on the coal industry and execute projects to reduce that dependence. Up to eight teams will be selected to attend each of the three workshops. Applications will be judged on a number of criteria, including team interest, dependence on the coal industry, existing economic development plans, previous efforts related to coal industry contraction, previous economic diversification efforts, anticipated outcomes, capacity and funding sources for post-workshop implementation efforts and potential team contribution to the overall discussion. The first workshop will be held in Pikesville, Ky., in April 2015. Applications for this session are due by Friday, Feb. 27. The second workshop will be held in Colorado in mid-September, and the third workshop will be held mid-November in West Virginia. For more detailed information or to apply to attend a workshop, view the project’s website here.